My family is starting to really enjoy time spent playing board games. We don't have a whole lot of games that actually work for all of us, but we're starting to. Especially as the little two get bigger. We were blessed to be able to review a game here this past week. 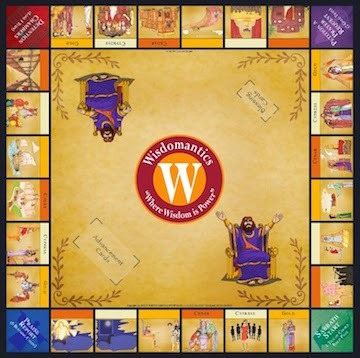 Wisdomantics, which is a DVD/Board game. Fun idea. I really had no idea what I was getting myself into here. The basic idea is that the DVD shows you a verse from Proverbs (NKJV), with usually two words missing. Sometimes it is an entire phrase. There are four answer choices, and you have 30 seconds to pick the right one. 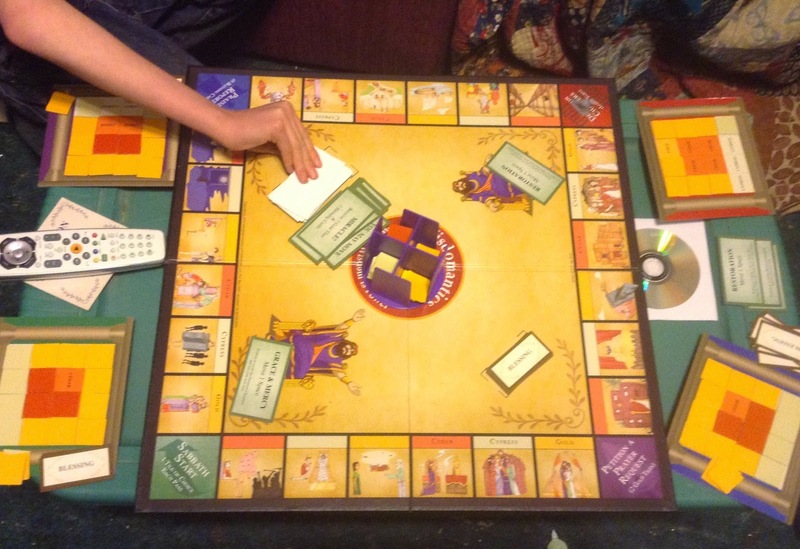 If you are correct, you get the chance to move around the board and collect materials for building the Temple. If you get it wrong, the next player has 20 seconds to try to correctly fill in the proverb. That player can collect building materials, but they don't get the chance to move. There are other things that happen in the game (being sent to jail) and there is some strategy involved. I have to confess that my kids initially found this game to be less-than-fun. Once they figured out the DVD a bit better, and people started moving around the board and collecting special cards and such, their interest picked up. It was interesting to see who knew more from Proverbs. Would you like to win a game of your own? I have one to give away. Open to US and Canada only, must be 18 to enter. We play some games in our home, but not as often as we'd like to. This looks like an interesting game! I love that this focuses on the bible. My teens would really enjoy it!